Lenticular sheets printing » News » More success for the IST UV Days 2017 ! 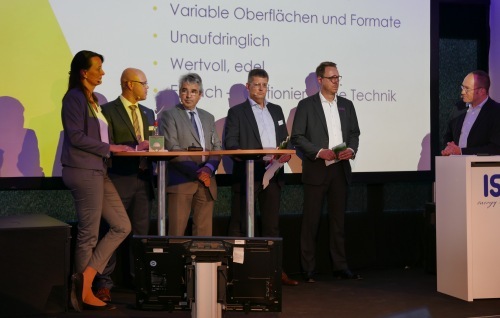 The 2017 edition of the IST UV Days in Nürtingen (close to Stuttgart) saw the highest number of visitors ever recorded for the event as almost 1000 people came to see the very latest in UV technologies, mainly the very promising LED-UV. Many visitors were interested in our lenticular booth showing the new Motion 20 LPI UV-LF. Also we were showing samples printed on 3D 20 LPI UV-LF, 3D 28 LPI UV-MF, 62 LPI Lenstar, 3D 100 LPI Lenstar, 40 LPI Lenstar, 75 LPI Lenstar and Ecolens, 150 LPI Lenstar, as well as MicroLux and cups produced by Dynamic Drinkware. 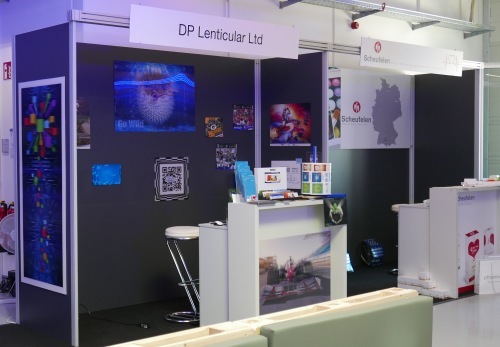 DP Lenticular also participated in a panel discussion organized by the Deutsche Drucker. See you in 2019 ! This entry was written by Daniel Pierret, posted on 22 May 2017 at 16:45, filed under News. Bookmark the permalink. Follow any comments here with the RSS feed for this post. Both comments and trackbacks are currently closed.